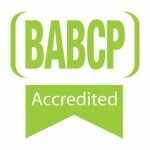 I am a BABCP Accredited Cognitive Behavioural Therapist (Membership number: 161003 Find me on the official register here: http://www.cbtregisteruk.com/). Over the past 10 years, I have worked in a variety of NHS based and private settings across the UK. I currently work for Cambridge and Peterborough NHS Foundation Trust and also privately for Cambridge CBT. I am experienced in working with a wide variety of presentations including: Depression, Generalised Anxiety Disorder, Health Anxiety, Phobias, OCD, Social Anxiety, Body Dysmorphia, Perfectionism, Low self- esteem, PTSD, Trauma and also Long-Term Physical Health Conditions. I utilise a transdiagnostic approach, integrating CBT models and formulations with processes that occur across disorders. This for example includes working with processes such as and Rumination and Intolerance of Uncertainty as well as painful emotions such as Shame and Guilt. Further to this, I have found it effective to incorporate third wave approaches such as Compassion Focused Therapy, Acceptance and Commitment Therapy, Mindfulness and Distress Tolerance Skills into my clinical work. 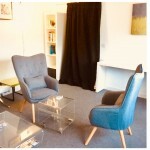 Central within my practice is the belief that effective therapy is flexible and able to address the unique difficulties that individuals present. Cultural sensitivity and an awareness of diversity are key within my practice; I am experienced in working with people from varied backgrounds, ages, cultures and a wide range of difficulties. I have completed further training in working with Long Term Conditions such as diabetes, chronic pain, fibromyalgia, IBS, CFS and ME. 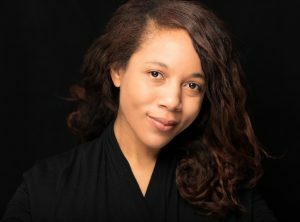 I am able to provide personal and professional experience of diverse sexualities, lifestyles and individuals that may identify as LGBTQIA. As part of my NHS work, I have run groups for social anxiety, generalised anxiety, low mood and encouraging healthy lifestyles. 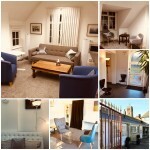 I recently facilitated a CBT group for a private drug and alcohol rehab clinic based in Newmarket, Suffolk. I trained as a Psychological Wellbeing Practitioner in 2012 and upon qualifying in 2013 worked in various NHS primary care settings across the UK. In 2014 I played a key role in delivering and developing a primary care service rehabilitating offenders in Manchester. Prior to this, I worked as a psychology assistant in a low secure forensic hospital in Liverpool and as a key worker in supported living for individuals with severe and enduring mental health difficulties. Alongside employment in mental health, I worked as an Academic Mentor for university students facing emotional and physical challenges in completing their studies. My work with the NHS has included providing supervision to Psychological Wellbeing Practitioners and facilitating skills based groups for therapists. I am interested in how dominant discourses shape people’s lives in destructive ways. This interest stems from my current training in Narrative Therapy and also previous academic studies in history which focused on exploring the lives of marginalised and oppressed groups who are often forgotten in history. In the context of therapy this can mean exploring stories of the self, helping individuals externalise their difficulties and co-authoring new narratives. I am warm and approachable. I work collaboratively, centering clients as experts in their lives. I help clients to reconnect with their skills, competencies, values and abilities. You will be able to take away effective tools and techniques that allow you to become your own therapist. 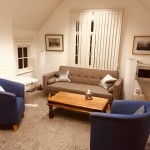 I am able to provide flexibility around appointments and can provide CBT in various locations in Cambridge as well as CBT via skype/ telephone. Graduate Diploma in Psychology (Conversion for Graduates), Open University, BPS accredited, GBC.